Alan Bennett Krueger (born September 17, 1960) is an American economist, Bendheim Professor of Economics and Public Affairs at Princeton University and Research Associate at the National Bureau of Economic Research. On March 7, 2009, he was nominated by President Barack Obama to be United States Assistant Secretary of the Treasury for economic policy. In October 2010, he announced his resignation from the Treasury Department, to return to Princeton University. He is among the 50 highest ranked economists in the world according to IDEAS/RePEc. 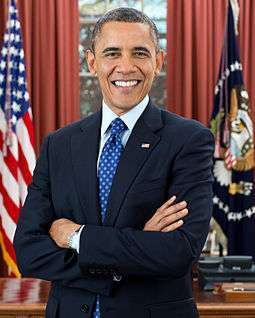 On August 29, 2011, he was nominated by Obama to be chairman of the White House Council of Economic Advisers, and on November 3, 2011, the Senate unanimously confirmed his nomination. Krueger compared restaurant jobs in New Jersey, which raised its minimum wage, to restaurant jobs in Pennsylvania, which did not, and found that restaurant employment in New Jersey increased, while it decreased in Pennsylvania. The results reinvigorated the academic debate on the employment effects of minimum wages and spawned a large and often conflicted literature. His books, Education Matters: Selected Essays by Alan B. Krueger and (with James Heckman) Inequality in America: What Role for Human Capital Policies? review the available research relating to positive externalities accruing to society from increased government investment in educating the children of the poor. His summary of the available research shows relatively high returns to society from educational investments that have been shown in numerous formal and natural experiments to reduce crime and recidivism. At one point, he concluded he does "not envision investment in human capital development as the sole component of a program to address the adverse consequences of income inequality. It is part of the solution, but not the whole solution. In principle, the optimal governmental policy regarding income inequality would employ multiple instruments, up to the point at which the social benefit per additional dollar of cost of each instrument is equal across all instruments." From 1994-95 he served as Chief Economist at the United States Department of Labor. He received the Kershaw Prize, Mahalanobis Prize, and IZA Prize (with David Card), and is a fellow of the American Academy of Arts and Sciences, Society of Labor Economists, Econometric Society and American Academy of Political and Social Science. He is a member of the Executive and Supervisory Committee (ESC) of CERGE-EI, an academic institution located in Prague, Czech Republic. Krueger received his Bachelor's degree from Cornell University's School of Industrial & Labor Relations (with honors), and in 1987 he received his Ph.D. in Economics from Harvard University. He has also published many books on issues related to education, labor markets and income distribution. He is also known for his work on the Environmental Kuznets Curve. Between 2000 and 2006 he wrote for the New York Times Economic Scene column. He is married to Lisa Simon and has two children, Benjamin and Sydney. Card, David; Krueger, Alan B. (1995), Myth and Measurement: The New Economics of the Minimum Wage, Princeton: Princeton University Press, ISBN 0-691-04823-1 . Krueger, Alan B. (2001), Education Matters: Selected Essays by Alan B. Krueger, Cheltenham, UK: Edward Elgar, ISBN 1-84064-106-1 . Heckman, James J.; Krueger, Alan B. (2003). Inequality in America: What Role for Human Capital Policies?. MIT Press. ISBN 0-262-08328-0. .
Krueger, Alan B. (2007), What Makes a Terrorist: Economics and the Roots of Terrorism, Princeton: Princeton University Press, ISBN 0-691-13438-3 . ↑ Schelling, Ameena (October 16, 2010). "Krueger will depart Treasury to retain tenure". The Daily Princetonian. Retrieved August 29, 2011. ↑ "Obama nominates Alan Krueger as his new chief economist". bbc.co.uk/news. 29 August 2011. ↑ Kwoh, Leslie. 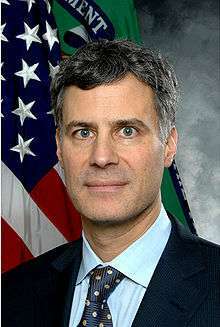 "Obama to tap Princeton's Alan Krueger to fill key economic post", The Star-Ledger, August 29, 2011. Accessed August 29, 2011. "Krueger, 50, a Livingston native, returned to academia a year ago after serving for two years as assistant treasury secretary for economic policy to the Obama administration." ↑ Nasar, Sylvia (August 22, 1993). "Conversations/David Card and Alan Krueger; Two Economists Catch Clinton's Eye By Bucking the Common Wisdom". The New York Times. Retrieved August 29, 2011. ↑ Krueger, Alan B. (2007). What Makes a Terrorist: Economics and the Roots of Terrorism. Princeton University Press. p. 77. ISBN 978-0-691-13438-3. ↑ Freedman, Lawrence D. (November–December 2007). "Review: What Makes a Terrorist". Foreign Affairs. Retrieved August 29, 2011. ↑ "Alan B. Krueger". New York Times.